VNC Viewer is an impressive app for Android that allows you to take control of your desktop computer – no matter what kind it is – from anywhere you like via your mobile device. The app is usually priced at $9.99 but right now the app is free to install. If you've ever considered forking out some cash for a remote client now is the time to grab one when it's 100% off! I've written about the best remote access apps for Android before, whether you want to remotely control your Android device from your computer, duplicate your desktop's screen on your tablet, or send and receive text messages on your desktop. The best app on that list for accessing your computer on your mobile device was TeamViewer, but VNC Viewer was a close call, only being beaten out because it cost $10. Well, that is no longer the case. I'm not sure why VNC Viewer is free right now, or for how long it will remain that way, so if you're interested I'd advise you to act fast. 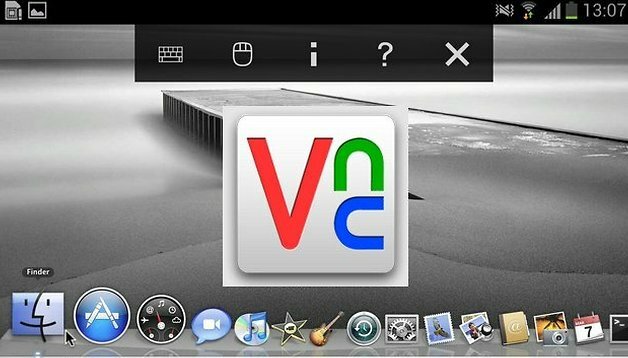 VNC Viewer simply sets up a connection between your Android device and your Mac, PC, Linux or Unix computer. It was created by the inventors of VNC technology, so you know it's reliable. Just install the app and the appropriate VNC package for your computer. Once you've set up your firewalls and router settings to enable the connection, you'll be able to control your desktop as though you were sitting in front of it. The controls may get a little getting used to at first, but once you have them down, you'll wonder how you ever lived without this app on your Android. Do you remote access your Android or your desktop? What is your favorite remote access app? am still using Team viewer, I'll check this out...Is there an app which can do both-desktop from android and android from desktop?